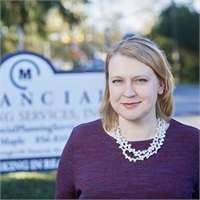 Jen is the Marketing Director at M Financial. She joined our firm in 2007 and is responsible for advertising, client communications, online branding, social networking and coordinating special events. She has a background in marketing and joins us after 10 years in the publishing industry. Jen studied at Rider University for a joint degree in Journalism and American Studies.